Application: Torx Plus socket screws. The TORX tools developed by Wera are ideal because they feature an optimised geometry of the original TORX profile. Wera Torx Plus bits permit the transfer of high torque loads and have a distinctively long service life. Wera Torx Plus bits have been designed for demanding applications in trade and industry. Wera Torx Plus bits offer dependable work and a long product service life because of their high precision profile design and outstanding concentricity features. Compared with the "normal", round TORX profile the elliptical profile of TORX PLUS tools makes it possible to increase the size of the 6 flanks that transfer torque between the tool and the screw. The force applied by the user is distributed across a larger surface area allowing more torque to be transferred and extending the service life of both the screw and the tool. 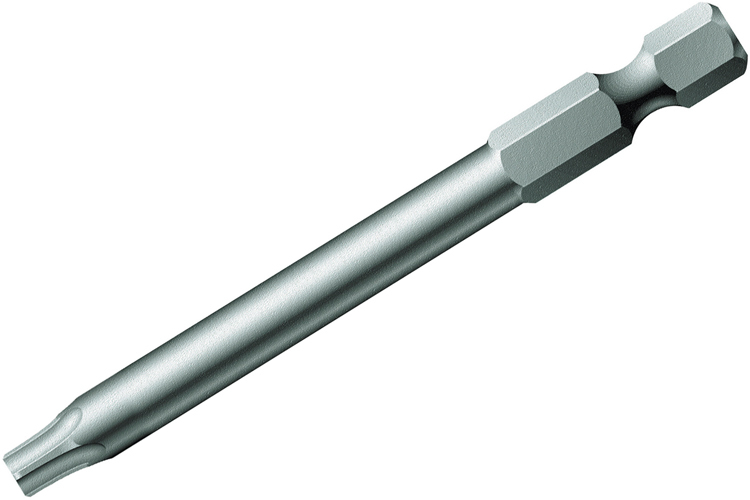 The 05134677001 Wera 867/4 Z IP 1/4'' Torx Plus Power Drive Bit is one of thousands of quality tooling products available from MRO Tools. Please browse Wera 1/4'' Torx Plus Power Drive Bits for tools similar to the 05134677001 Wera 867/4 Z IP 1/4'' Torx Plus Power Drive Bit. 05134677001 Wera 867/4 Z IP 1/4'' Torx Plus Power Drive Bit description summary: Wera 867/4 Z IP 1/4'' Torx Plus Power Drive Bit. Point Size: 40 IP Overall Length: 89mm / 3 1/2'' Shank Diameter: - Quantity discounts may be available for the 05134677001 Wera 867/4 Z IP 1/4'' Torx Plus Power Drive Bit. Please contact MRO Tools for details.